Decade Engineering has released the BUD Smart Application Board that is designed to display GPS and user defined video overlay using the BOB-4 on screen display module. BUD can also be used as a general-purpose Atmel megaAVR development board. It has an ATmega640, uses a serial bootloader, and can use free AVR-GCC based development tools, so an external debugger and third-party tools aren't required. The processor has 64KB flash and 4KB EEPROM, additional EEPROM can be added to the board as an option. You can easily to download example software and schematics from Decade's website, registration is not required. The videos below show the BOB-4 used for GPS overlay with an RC plane camera in Antarctica and for a Datsun 240Z track session. The BOB-4 can easily be used with other microcontroller development boards or a PC, it only requires 5VDC, serial data, and video I/O. You can purchase BUD and BOB-4 from Decade Engineering's website. The BOB-4 module is also available from Solarbotics and Farnell. See the Decade Engineering site for additional dealers. The DesignSpark chipKIT Challenge is giving away 1000 chipKIT Max32 development Kits to registered participants. The chipKIT Max32 is an arduiono-like platform from Diligent with a Microchip PIC32MX795F512 MIPS processor and 512K Flash. Cash prizes will be awarded for the most energy-efficient designs ranging from $5000 US for first prize to $200 for honorable mention. Community awards will also be given, $100 vouchers for electronics and magazine subscriptions. The deadline for entries is in March 2012. The Lattice Semiconductor MachXO2-1200ZE Breakout Board Evaluation Kit includes a MachXO2 programmable logic device with 1280 look up tables, 108 I/O, and support for DDR, LVDS, and hardened I2C, SPI, and timer/counter. The board is only $29.99 and includes free access to Lattice Diamond design tools. The on-board FTDI USB allows easy connectivity and programming without additional debug hardware, power is also provided via USB. The large prototyping/header area surrounding the chip has standard 0.1 inch spacing. If you are an embedded Linux developer who maybe missed out on CES you might try the 2012 Embedded Linux Conference which runs from Feb. 15-17 just North of Silicon Valley in Redwood Shores, California. This is co-located with the Linaro Connect Q1.12 conference which runs from Feb. 6-10. Linaro Connect covers Linux on ARM development. Another co-located conference is the 2012 Android Builders Summit from Feb. 13-14. For a retrospective of Linux, see the Linux Foundataion video commemorating 20 years of Linux. Photo by the Linux Foundation, available under a Creative Commons License. Microsoft Small Basic is a free compiler for beginners to computer programming. You can find it at the Beginner Developer Learning Center at MSDN. Microsoft wants to put the fun back into computer programming with Small Basic and includes a getting started guide, online lessons, online e-books chapters, and code sharing. The syntax is not the same as the BASIC I learned as a kid on the TI 99/4a or the Commodore 64, but more of a take off on Microsoft languages like VB. For example, compare the classic "Hello World" in BASIC to Small Basic. The longer function name doesn't look as fun to me, but they make it easier to remember with help as you type. I can't find any auto-complete, but that is probably just as well for beginners. Microsoft makes it easy to migrate your Small Basic program to Visual Basic, there is a Graduate button built into the interface that will convert your program automatically. I found Microsoft Small Basic when I was looking for a free compiler for a child to learn computer programming. I think it is a good choice, it should keep them interested because it is easy to use and they can get instant results with the run button, like you do in classic BASIC programming. They even have turtle graphics, which is always fun for kids. When they become more advanced programmers, they might be interested in the free sample chapter from Basic Computer Games Small Basic Edition. Parts Express has a great selection of DIY parts for audio projects as well as A/V cables and equipment. They have recently added a DIY kits section to the website. Most of the products are called kits but I would call most of them boards because come fully assembled and tested. They stock Velleman and Parts Express brands. 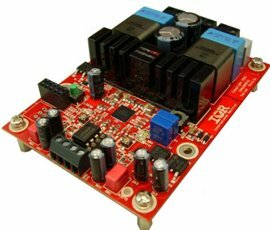 You can find a lot of audio applications including AM/FM radio, MP3 player, and a few Class-D audio amplification boards. The amplifier boards use Tripath, Texas Instruments and Power Analog Microelectronics chips. 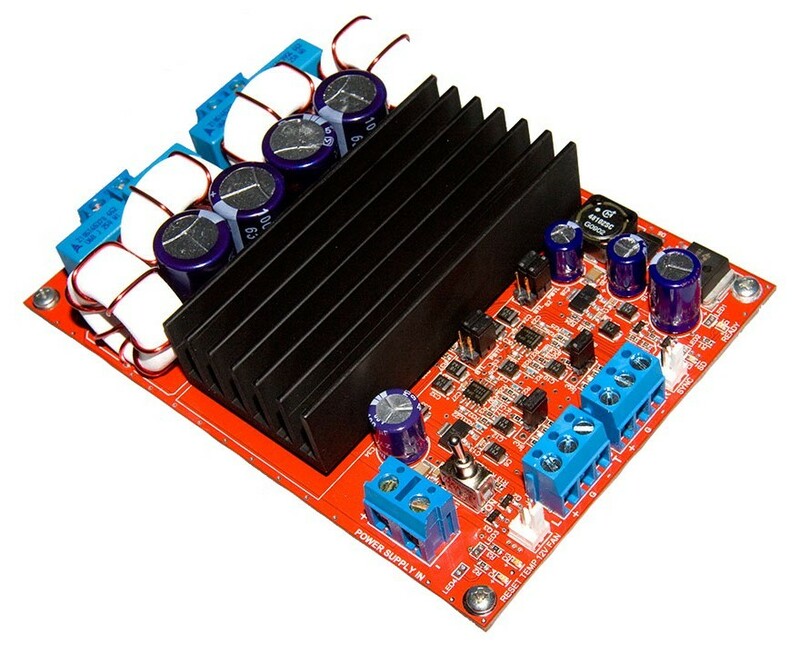 For an example see the video below for the TK2050 Class-D Audio Amplifier Board. It is one of the higher end kits at $44 US, they start at $9.90 for the 2x2W@4 Ohm Class-D.
Class D Audio Inc. Below is a pic of another Texas Instruments Amp. Jameco Electronics always has a good selection of audio kits and kits in general. Here is an example of a guitar effects pedal built using the Perfboard Prototyping Kit. 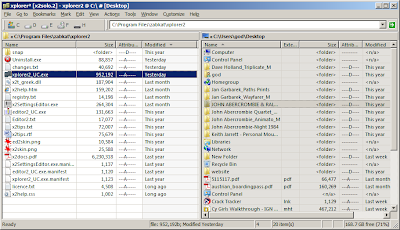 I have been using the xplorer2 file manager on Windows for a few years. I found it when I was looking for a dual-pane file manager that could also handle webdav folders. Below is a screenshot that showing dual pane mode running on the developer's computer. 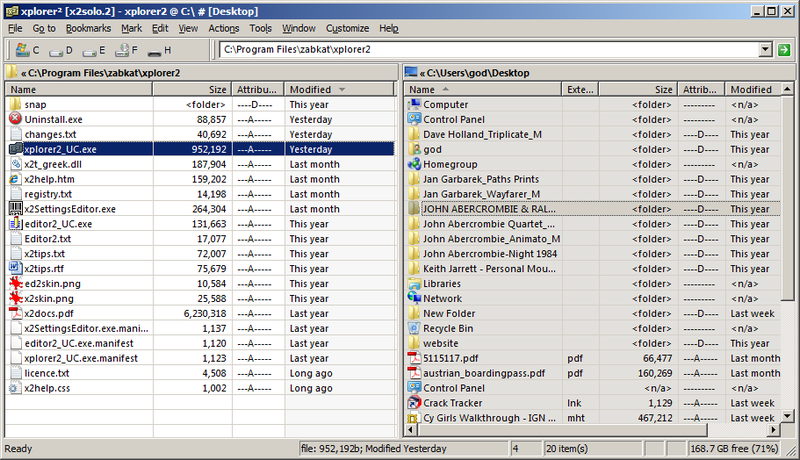 I also like to use the custom command feature with WinMerge to compare source code directories. Special offer extended: January 5 xplorer2 is the BitsDuJour.com deal of the day on sale for $15 US.